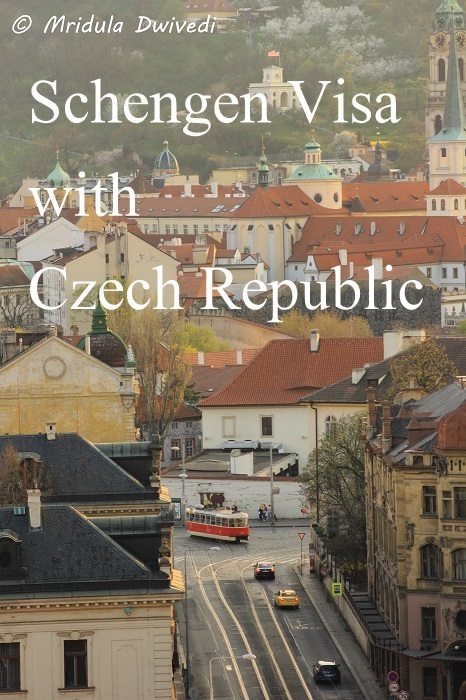 Strange is the word to describe my Schengen Visa experience with the Czech Republic. Here is a brief background about us and the trip. 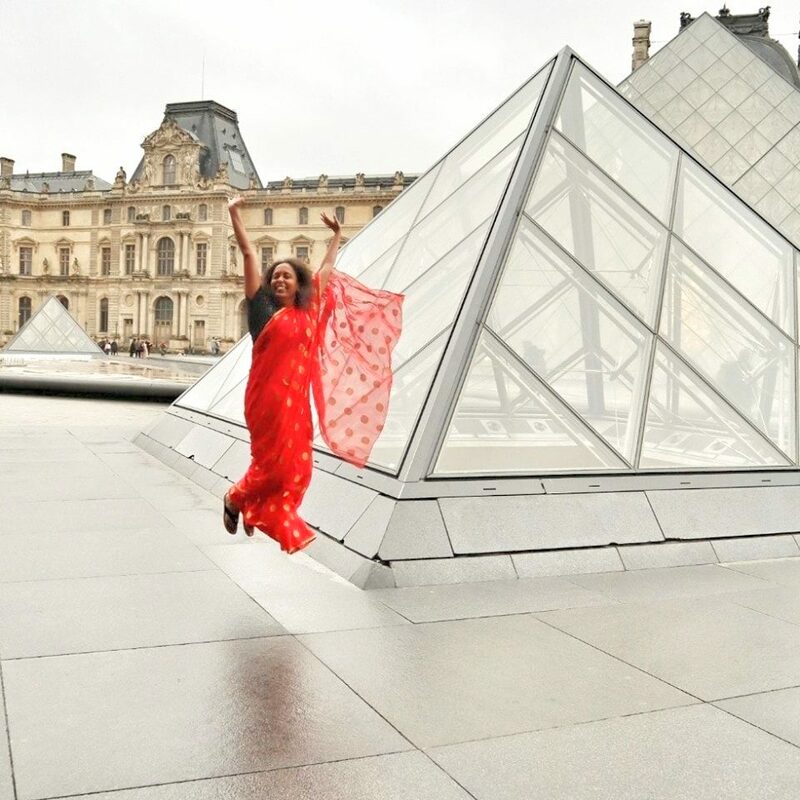 I have been travel blogging since 2005 and have been to 20 countries (excluding India) till date. But the number of trips I have done is much greater, as UK alone I have been to 6 times but counts as one country. I planned a vacation with my daughter and niece to Prague, Czech Republic. The girls are 9 and 11 years of age. They have already traveled to Hong Kong with me. Chhavi (my adopted daughter) has been to USA last year with my husband, I was not traveling. Vasudha, my niece went to USA in 2016 on a school trip without her parents! I thought we all have good travel histories so we would get the visa without a hitch. I didn’t even consider that my husband was not traveling as we often travel without each-other. He has taken our daughter to USA without me, I took Chhavi and Vasudha with me to Hong Kong in the past, what could go wrong with our application? Well it looks like plenty! I applied for the visa on 24th February 2017 thinking I will get it in days, or maybe like it has happened in the past, even before. I was dead wrong. To complicate the matters further I was to travel on another blogging trip from March 19 and I need to do another visa for Singapore. I still thought I had plenty of time to do both. And then it started. On February 28, they asked me to submit another from for Vasudha which was signed by both her parents and their bank statement. I did it the next day on March 1st. Then on March 6th 2017 I got an email from the consulate in Delhi for a personal interview on March 16! That would mean I would miss out on my other trip. I called them, I have to grant it to them they pick up the phone and talk. I told them about the other trip and they agreed to bring forward my visa interview to March 8, the International Women’s day, at 9.00 am. They requested me to bring in the original birth certificate of both the girls and my marriage certificate! They were probably paranoid because I am traveling with two minor girls. It is then I looked up the net and realized that human trafficking seems to be a problem with them but it is definitely not from India! At the interview they first offered me that they could hand me my passport right away so I could do the Singapore visa and give my passport back to them once it was done. I thought it was reasonable. Then they went back on it saying they could give it to me only via VFS and wanted it back on 14th March. March 14 is way beyond their 10 working day guideline. I initially said yes. But later when I had a chat with the Singapore team they said it was not possible. I once again called the Czech Embassy and told them that I don’t need the passport as I can’t do my other visa in that short a time frame. They agreed to keep it and give it back to me after they have taken the decision. Now you might be wondering why am I calling my experience strange? Well, one of the questions they asked me at the visa interview was, “why is your husband not traveling with your daughter and niece?” I mean, hello when did that became a criteria to grant someone a visa? Or even a relevant question to ask? All hell would break loose if a foreigner was asked the same question to come to India. Indian women would be declared oppressed, there would be a call for freedom and liberty, all sorts of data would be quoted. But is no outrage when an European country asks such regressive questions to an Indian woman! After all they are a beacon of freedom and we are oppressed in India! The next question that caught me by surprise was why is your niece traveling with you. I thought if you worked in an embassy you would have some cross-cultural training about your country of work. If the officer (a woman too) had any inkling of the Indian culture this should not have surprised her. We have strong family ties, I told her. And not only my niece, I have traveled with my nephews too. Then came, who is paying for my niece’s trip! This when my bank statement (and mine alone, my husband’s bank statement is not even in the picture) and Vasudha’s parent’s bank statement combined has enough money to do 10 trips to Czech Republic, and these are just our savings accounts. Of course her parents are paying for her trip. Both the girls are only kids in their respective families. They are the closest friends, they refer each-other as sisters. And even though I may call Vasudha my niece just to maintain clarity; I treat both of them equally, which means both get equal amount of scoldings too. Also Vasudha’s father, my dear brother-in-law, is wheel chair bound as he has cerebral palsy since birth. There were two woman in the room other than me, a Czech and an Indian woman. Between them they talked, “has she submitted the affidavit?” And I was seething, have you not even looked at what documents I have submitted and called me for an interview? Of course my time is free and it should be wasted! 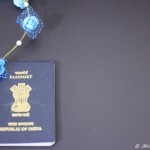 So here I am writing a long rant, instead of getting excited about a vacation that I planned! I have learned my lesson, from next time my personal vacations (and money) is going to a visa on arrival destination. I wanted a holiday, not a headache! Which is what I have right now! I now perfectly understand how it would feel to score a self goal! In the end we got the visa in time to do the Singapore visa too. 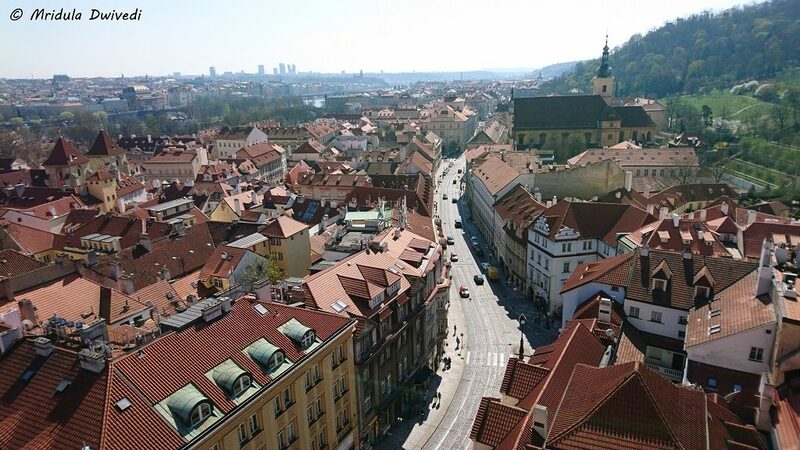 I have to say Prague is a beautiful city. The people are nice. The whole trip went without a hitch. But I still feel shaken by the visa experience and I am not going to plan another European holiday in a hurry. Hmm, a strange experience indeed especially for a person who travels regularly to foreign countries. Good point though that better travel to Visa on arrival countries for personal travel / vacations. Yes Prasad it was with this that I realized what a pampered life I lead as a blogger, visa just arrive somehow for the FAMs! Very weird i must say. I guess because it was a non-routine trip with kids involved! It was painful for sure, hence I will favor visa on arrival countries now! These experience will work for me . I read your post regularly so that I can have some knowledge for a foreign trip (if possible) . You plan it well and I am sure you can do it! Go for visa on arrival! What to do, at least we got the visa! This is a horrible experience. Just imagine someone having to face such appalling situation while applying for a Czech visa for his / her 1st international trip. I know that would be scary, but as it was my 21 country I could handle it. “have you not even looked at what documents I have submitted and called me for an interview? Of course my time is free and it should be wasted!”This is the sad part- of being taken for granted by the bureaucracy!Anyway, at the end in your case all’s well. But I will be scared to plan another personal holiday to a Schengen country! I remember reading about your experience in your FB post, but now reading about the whole experience kind of puzzled me. From my experience so far, people abroad are really inquisitive about how close we Indians are to our extended family and how we travel freely with our relatives. I wonder what was the visa interviewer thinking when she was asking all those weird questions. Anyway, the city is nice and if people are a regular family I see no reason for them to face issues in their visa applications! I was petrified by all these horror schengen visa rejection stories. Here is what I experience applying schengen visa from French consulate Sydney (I’m an Indonesian national with Australian permanent resident who has lived in Australia in the past 8 years). I’m going to 9 countries in Europe + short South Korea trip in 2.5 weeks for a month. Initially I wanted to apply in different consulate as French consulate Sydney stated that their rejection rate is 9.99% so for me that’s quite high compared to other consulates. But my port of entry and time most spent will be in France so I have no choice. I gathered all documents early. I also have stable income, high earning job and high savings for a 25 year old. But I read that even if you have a lot of money it doesn’t guarantee you a visa. It’s really hard to get appointment at French consulate Sydney. I booked since early August and only got an appointment for late October (3.5 weeks away from the trip so no room for error). Since I’ll be going with 2 other Australian friends, we’ve paid for everything and my friends hold Australian passports so they don’t need to apply for visa. I came to the appointment on Wednesday. The lady interviewing me was very polite despite all negative review on French consulate Sydney page. I kept checking everyday although I knew it would take approximately 10-15 business days. By Monday afternoon, the website said the decision has been made and I was allowed to pick up my passport. Unfortunately, they won’t let you know the result until you pick up your passport. On Tuesday I went there and everything was done so my visa was done in 3 business days! I too got the visa in the end. We did the trip to Prague in April 2017. Try traveling with two minor girls and see what it entails! But I have learned to frame my application better. I will be catching a flight to Europe in less than 24 hours as I type, this time a vacation with my sister. It is her first trip abroad, another Schengen country. But this time we got the visa without any hitch. Right now i m facing same situation. i m traveling with family, me , my wife and two son. My situation become more difficult because my wife having Portuguese citizenship and my one son in my adopted son. so i applied for me and my 2 son only. my travel dates were 14th to 26th Dec my interview was held on 12th Dec. i requested them so many time over phone and email to give me decision on urgent basis but no response. Still waiting for decision. Do u have any idea, will they approve my visa so i can go and shorten my trip or they refuse my application because my travel dates already gone? I am so sorry to hear about your experience. In no way I can predict the embassy behavior. But I would encourage you strongly to document your experience somewhere so that others can benefit from it.I hope you got your visa by now. Still my decisions for visa was pending. I sent an email with new updated itinerary last week still they din not reply. It’s more then a month after application. I am spouse of EU citizen so I file official complain about New Delhi embassy with the help of solvit to ministry of foreign affairs Czech Republic. Sorry to hear that. I hope your visa arrives soon. rather strange considering that i submitted the same set of docs , my friend did …………confirmed return air tkts, hotel bookings , and bank statements ..
just wondering what to do now ,, just 20 days remaining to fly out…. can any experienced traveller from india advise ? I was called for an interview and then our visa was approved. I can’t even remember how many times I have to Europe and still they called me for an interview. I never have faced a visa rejection till date, so totally at loss as to what to say to you. Did you not provide a cover letter stating your purpose? However, inspite of submitting all the documents we received the rejection letter on 29 April, 2018. It was so late that there was no time to appeal or reapply. We lost more than 90% of our money. This time we are again planning to visit the same countries that we had planned in the month of october. We have got our marriage certificate done but it is almost impossible for us to get our passport updated as we are living on rent and don’t have a registered rent agreement and our landlord lives in the US and is not cooperative at all. I would like to know is there anything that we had missed while applying in April? Also, any suggestions what better can be done now while applying again. I would say look at the schengen countries that treat tourists better and apply via them. Just do your research. And I am so sorry to hear about your experience. Hiiii wish I had trusted your review about Czech Republic.my visa tourist vis got rejected by Czech Republic inspite of confirmed flight bookings,confirmed accommodation ,good tax returns ,very good bank balance as well .i lost money in flights .I did not reapply or reappear as well .My mom said it is better that I got to see true characters of people of Czech Republic In India itself and why reapply to such arrogant country ? I decided to loose money compared to my dignity and said B*** to Czech Republic .